In November, Diana Hamann and Kate Soto, Proprietress and General Manager respectively, invite a select number of WBEZ Members to experience the wines of Italy and Argentina through an interactive education and tasting session. On November 13th, 2013, we’ll celebrate the wines of Argentina. Argentina has a lot going on: high plains desert, empanadas, tango, and some of the best (and affordable) wines on the planet. 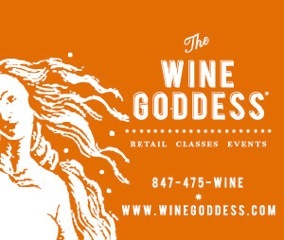 Diana Hamann, wine educator and Proprietress of The Wine Goddess Evanston will lead us in a tasting of the grapes and appellations that make Argentine wines the current little darlin&apos; of the wine trade.